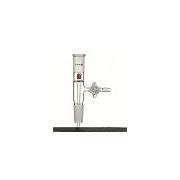 Made to ASTM Specifications E677. Borosilicate glass connecting tubes for Model R220 rotary evaporator. 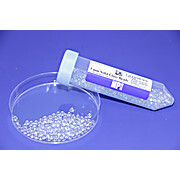 These components match various connecting tubes for all the rotary evaporator glass sets. 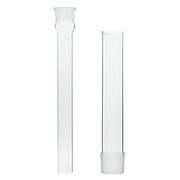 The tubes are used in the upper glass assemblies to connect the various condensers and expansion tanks. With standard taper inner joints at bottom and side, outlet tube at top. 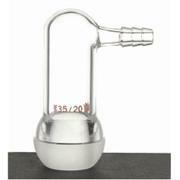 For use with gas inlet tubes or plain stem thermometers. Supplied with one holed rubber adapter. 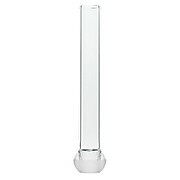 With glass stopcock plug on lower side arm. 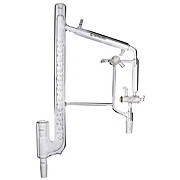 Top joint on center tube is 10/30 for 76mm immersion thermometer. Other joint is 14/20. Take-off arm is at 75 degree angle to the vertical. Plugs are 2mm bore. 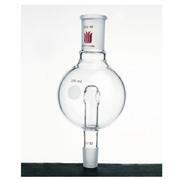 Conical 4" neck for use with 6475, 6476, 6477, 6479, 6480, 6481, 6491, 6492, 6497, 6498 and 9656 ACE Reaction Flasks. 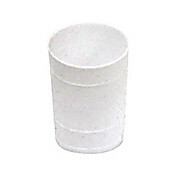 Supplied with three outer joints. Use 6496 Clamp for securing to flasks. 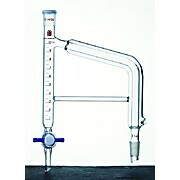 Allows for flexible tubing to be connected to apparatus for introduction of vacuum or pressure. Hose connection is at a 90 degree angle to the spherical ball joint. 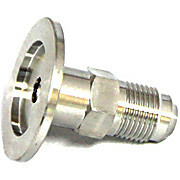 Synthware reducing adapters are used for connecting dissimilar standard taper joint sizes. The lower inner joint is larger in size than the top outer joint. 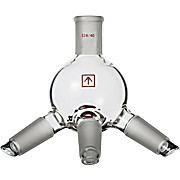 Similar to D451414-series but with the uptake tube vacuum jacketed to improve distillation performance. 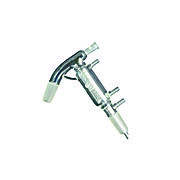 The jacket eliminates the possibility of condensation or recrystallization of distillate in the sidearm. With 2mm PTFE stopcock. Straight connecting adapter with standard taper inner joints at both ends. Various lengths. Ring-style hose connections for use on small-scale apparatus such as Mini-Lab. Codes -05 & -09 are on straight tubing; code -14 has a flare end. Sold in shelf-packs of 12 each. 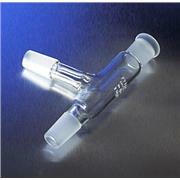 Trap is placed between the vapor tube and the evaporation flask. This design prevent possible contamination in the event of bumping. 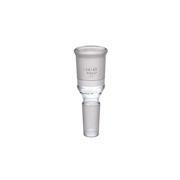 With upper outer and lower inner standard taper joints.